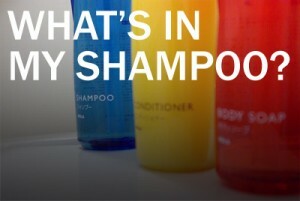 Can you believe that one of the chemicals in your shampoo is used in paints and cleaners? Pyrithione zinc (or more commonly written as zinc pyrithione) is a zinc complex that is commonly found in anti-dandruff shampoos. 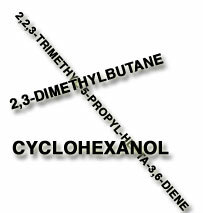 In the concentration found in shampoo it is safe and no common side effects are known. Very few people have allergic reactions to pyrithione zinc. 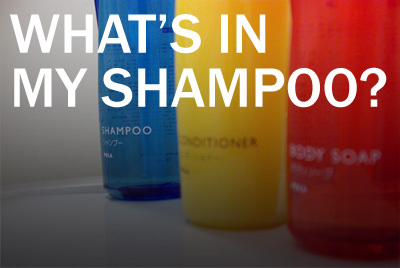 So, why is pyrithione zinc even in your shampoo? It’s because the chemical is very good at keeping dandruff at bay. Pyrithione zinc has been shown to regulate the keratinization of epithelial cells. English translation: Pyritione zinc keeps your top layer skin cells from dying too fast. Usually dandruff is caused by dry skin, however it can be antagonized by bacteria. It turns out that pyrithione zinc is also really good at fighting off bacteria as well. In fact, the chemical is commonly mixed into household paints as a means to fight mildew and mold and is also sold by some companies as sponge cleaners. How is pyrithione zinc formed? Well, there are a few ways. One way is to get the conjugate base of 2-mercaptopyridine-N-oxide. The other is “by reacting a 2-halopyridine-N-oxide with sodium hydrosulfide and sodium carbonate (or a mixture of sodium carbonate and sodium hydroxide)… making zinc pyrithione by reacting the sodium pyrithione with a zinc salt.” [Source: U.S. Patent 4396766] The advantages of one process over the other is that less of the undesirable compounds are created with the second method, which is important when preparing the compound for medical use. Danger: Almost none, unless you eat/touch it in pure form. Unlikely to cause allergic reaction. Warner RR, Schwartz JR, Boissy Y, Dawson TL Jr. Dandruff has an altered stratum corneum ultrastructure that is improved with zinc phrithione shampoo. J Am Acad Dermatol 2001;45:897-903. D. A. Farmer, Jr., L. E. Katz. Olin Corporation. U.S. Patent 4396766, 1983.